'Queen of Nebraska', a 7" gauge scale miniature of a US 4-8-2 locomotive. 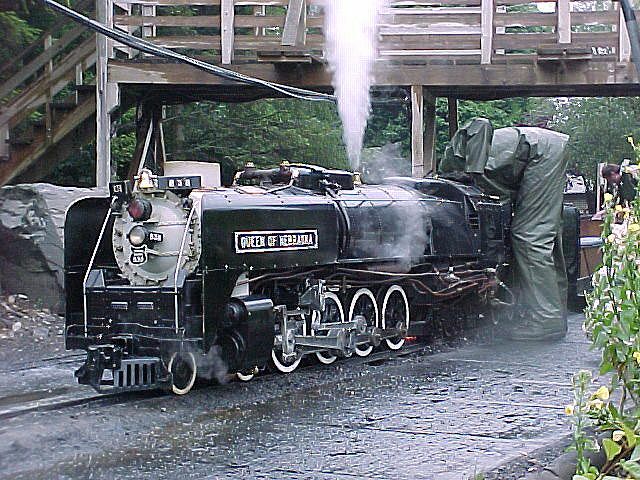 This is one of a number of miniature US locomotives operating at Dobwalls Adventure Park near Liskeard in Cornwall. The line twists and dives through steep cuttings and tunnels and climbs a steep gradient - a severe test for small locomotives hauling 8 passenger cars.